In this dynamic world information of an individual is as important as an individual itself. We thereby promise to respect all individuals by reciprocating to secure the information of all the individuals associated with us. We are taking appropriate measures to protect the information you share with us. Anadi Travels is a web based travel portal catering to all needs of a persons starting from Airline, Buses, Hotels and Holidays. we provide to our guests or Holiday Packages they have ever dreamed of for the best ever vacations. The shared information like travel plan, name, age, address and phone numbers are very much of a personal nature and we promise to protect it as “Anadi Information” which in Hindi itself means as “Our own Information”. Anadi Travels will not entertain any third party for providing any kind of information needed by them. However Anadi Travels will only allow suppliers to access the information for registration, reservation only for the purpose of confirming the reservation and the facilities customers are entitled to. Only promotions and schemes of Anadi Travels will be sent time to time for the benefits of the customer. The information provided by you is completely secure as we have a dedicated team which strictly follows a principle for securing the information by applying latest internet security methods and technologies which helps to maintain a secure database from unauthorized access. Links to Other Sites: Our site links to other websites that may collect personally identifiable information about you. 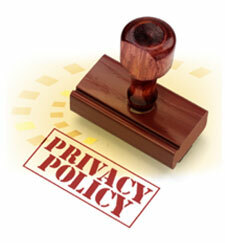 anaditravels.com is not responsible for the privacy practices or the content of those linked websites.